Kim Kardashian And Kanye West Getting Married Immediately – Birth of Baby Girl Inspires Wedding! The Kardashians are like zombies at a theme park. They’re slow and stupid, and they make awkward grunting noises at the candy store. The leader of the drooling pack, Kim Kardashian, recently had a beautiful baby with her boyfriend – and soon to be husband – Kanye West. The birth of the little one allegedly brought these two “even closer” than before. We’re pleased to hear that, especially since several news stories remarked on West’s apparent absenteeism. A baby, a marriage, and a Kardashian – it should have been a sitcom. Do you think these Kim and Kanye are getting married soon? Are you happy for Kim? Let us know your thoughts in the comments below. Kim Kardashian and Kanye West Are Getting Married in Hawaii – Unofficially! 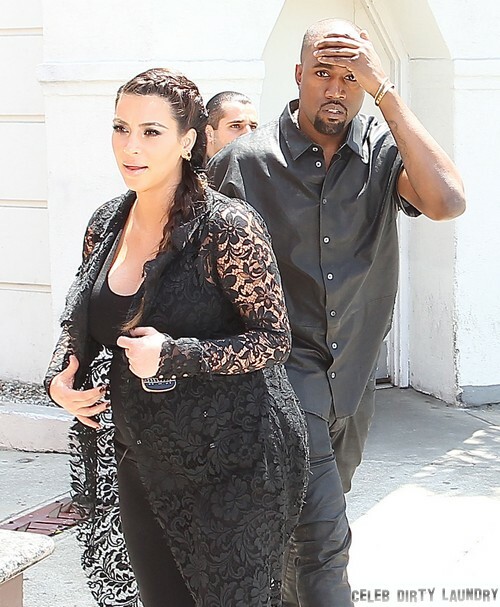 Kim Kardashian and Kanye West Baby Girl’s Name Revealed – It’s Kash! Kanye West: ‘I Just F**ked Kim So Hard’, Cute Or Too Much Information?